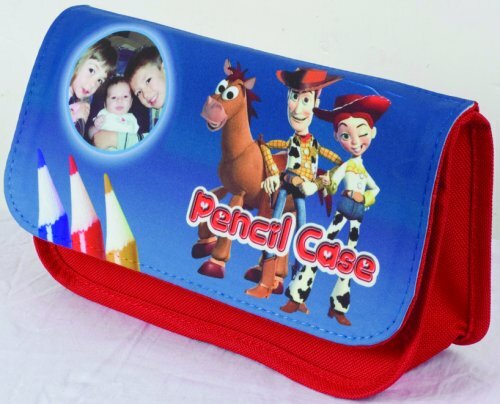 Personalised photo pencil - vanity case, red or black, 8.25 inches by 5 inches. Any design printed. Design A Bag. 2 pockets both with zips hardwearing material, robust for daily use.